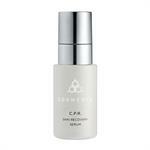 CosMedix believes that naturally treating the skin is the best means of anti-aging skincare. A process called Chiral Correction is the basis for a line of skin care products called CosMedix. CosMedix uses a process to purify the ingredients in their products to their most natural, potent form – preventing inflammation, irritation, and premature aging. These products are unique because they are formulated with natural ingredients, such as fruit and vegetable extracts, minerals, essential fats, herbs, and fiber. CosMedix offers a wide variety of skin peels to correct various skin conditions. These natural peels stimulate collagen production without the side effects of harsh, damaging chemicals. DrSkinSpa.com is an Authorized Retailer of Cosmedix. All Products are Guaranteed Authentic & Fresh. 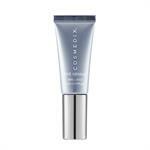 The products in CosMedix SKINutrition line work to remove toxins, restoring a healthy glow to your skin. These products are unique because they are formulated with natural ingredients, such as fruit and vegetable extracts, minerals, essential fats, herbs, and fiber. These ingredients are as good for your skin on the outside, as they are for nutrition inside of your body. CosMedix SKINutrition line works to Balance, Desensitize, Restore, and Neutralize.? There is also a Clarity Supplement available that works to improve acne and encourage collagen production. CosMedix offers fourteen products to correct and stimulate your skin – enhancing the skin's natural healing process by supporting the external barrier and acting as an anti-inflammatory. Each supplement has exclusive benefits for different needs, such as exfoliating for acne prone skin, skin lightening for hyper-pigmentation, and antioxidants for aging skin. 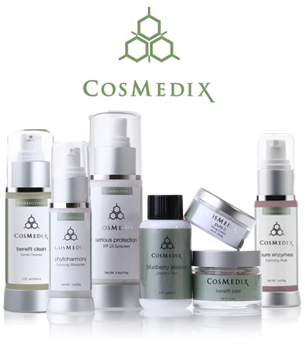 CosMedix Correct & Repair products are equally important in assisting the skin's natural healing process. From the Benefit Clean gentle cleanser and Phytoclear clarifying moisturizer to the Rescue healing balm and mask, these specialty ingredients cover a wide array of common skin conditions. With the line of sun protection products available through CosMedix, it is easy to reflect potentially harmful ultraviolet radiation. Correct & Protect products provide full spectrum natural UVA/UVB/UVC sun block protection and hydration for all skin types. 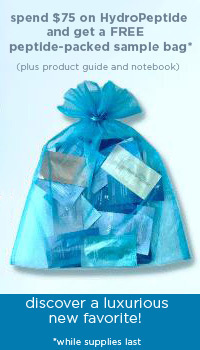 CosMedix offers a wide variety of skin peels to correct various skin conditions. These natural peels soothe the skin and stimulate collagen production without the side effects of harsh, damaging chemicals. CosMedix also offers a Physician Only medical strength L-TCA peel that results in much less discomfort and downtime than traditional TCA peels. These medical strength formulations correct body-specific skin conditions and compliment patient treatment programs administered by dermatologists and aesthetic physicians. Choose from Body Build, Body Lift, Body Clean, and Body Shape. It is great news that affordable products using chirally corrected ingredients are now available to you. These natural ingredients and products from CosMedix will not harm or damage, but will instead nourish, soothe and correct your skin to its most optimal condition.